I’ve been blogging for nigh on 2 years now and you know what the best part about it has been? It’s when I meet people who have followed their Adventure Foot and tried something I recommended! 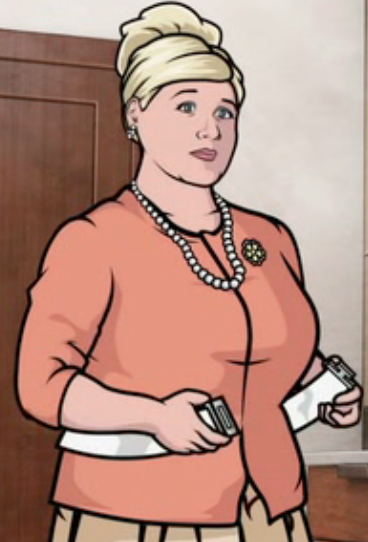 I’ve been saying, “To wit” instead of “For example” because I’ve been watching a lot of Archer. Okay… that may not be an exact recount of the encounter, but bear with me. She went on to explain that she’d read my blogs about how I’d just recently taken up running and about the upcoming Turkey Run. She had always struggled with weight and she was worried that her kids were already struggling too. Then she decided that the Turkey Run was as good an event as any to get started on being a healthier family. She pointed out her husband and two kids standing in the parking lot waiting for the start of the 5K and then thanked me for inspiring them. I was flabbergasted. I thanked her profusely for letting me know her story. And I smiled through my entire 10K knowing that a whole family was taking a chance on trying something new and difficult because of something I’d written. Somewhere out in the middle of an 80 mile day on RAGBRAI (Register’s Annual Great Bike Ride Across Iowa) a gentleman riding behind me commented on my Quincy Bike Club jersey. “Hey, Quincy, Illinois! I read a blog from someone who lives there!” he said. I first looked at him sideways because I assumed maybe he was someone I knew giving me a hard time. But no! He actually turned out to be from somewhere near Rockford, IL and when he pointed out my jersey, he didn’t even know that I was the blogger in question! We rode side-by-side for the next ten or so miles and he told me that he’d been down in Quincy not that long ago and done the Liberty ride on my recommendation. Crazy, right? 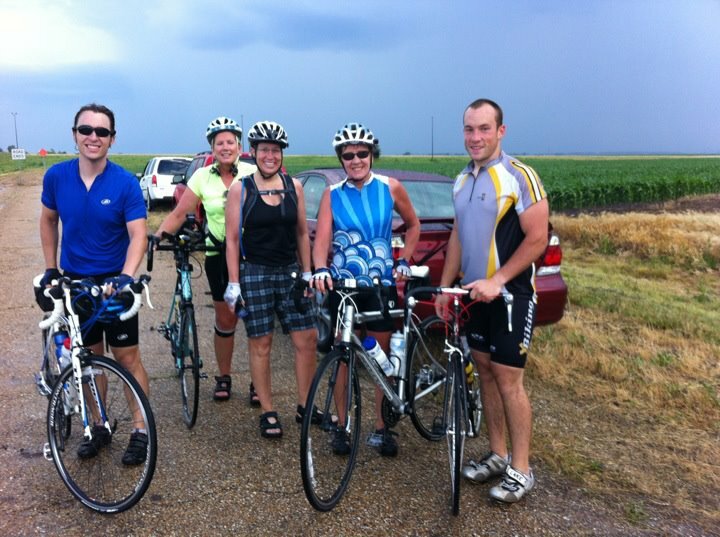 40,000 cyclists at RAGBRAI and I manage to meet one who both read my blog and tried a ride I talked about. Anyhow… where was I going with this? I read and follow a smattering of blogs, mostly here on WordPress. And I absolutely love hearing about other people’s adventures! And I bet it would make them as happy as I was in the stories above to find out that they’ve inspired me. So, here’s a shout-out to some other bloggers who have excited me, informed me or made me smile. Click the links, my friends. You will not be sorry. T-Rex Runner… a very cool blog! T-Rex Runner: She runs, she’s funny, and she overcomes adversity. This blog: http://trexrunner.com/2013/01/28/small-changes-for-big-results-or-smaller-thighs/#comment-3209 is the reason I wrote this blog today. It’s also inspired me to try squats and lunges in the office so as to be in shape for bike season. All Seasons Cyclist: http://allseasonscyclist.com If you need to know about GEAR or nutrition for cycling… this should be your first stop. Brian Pahlmann: http://personalbesttrainingandcoaching.blogspot.com/ If you’re looking for a blog by a guy who simply knows his stuff, this one is it. Brian is a USA Cycling Coach, a personal trainer, a running coach… and a great guy! He’s new to blogging, but he’s got a lot of great information to share and I’m looking forward to learning more from him. Body by Brenda http://bodybybrendat.com/ This friend and blogger went from a morbidly-obese smoker to a super fit and inspirational model of healthy living. She once fireman carried me across an MMA studio. She’s awesome. Dan’s Marathon: http://dans-marathon.com/ This guy is on a quest to run a marathon or a half in all 50 states. I like his race reports and his writing style. Before I sign up for a race, I look to see if Dan’s done it first to learn more. Ray Heisey: http://rayheisey.com/ Another great blogger always full of bicycle adventures and bicycle advice! Love it! Clinton securing our gear for my first time rock rappeling! Clintergalactic: Saving perhaps the best for last, if you click on no other link today, click this one: http://punqroqclimber.wordpress.com/2011/11/22/finding/ Clinton is a dear friend of mine, but even if he weren’t I would be a fan of his writing. I get lost in the scenes he describes. Read the article I’ve linked you to and tell me you can’t taste the salt on the reel or hear the ping of pistol shots on empty beer cans. Clinton doesn’t post often, but the quality of every post is worth the wait. When he finally writes a book about his adventures (and he will) I will be first in line.